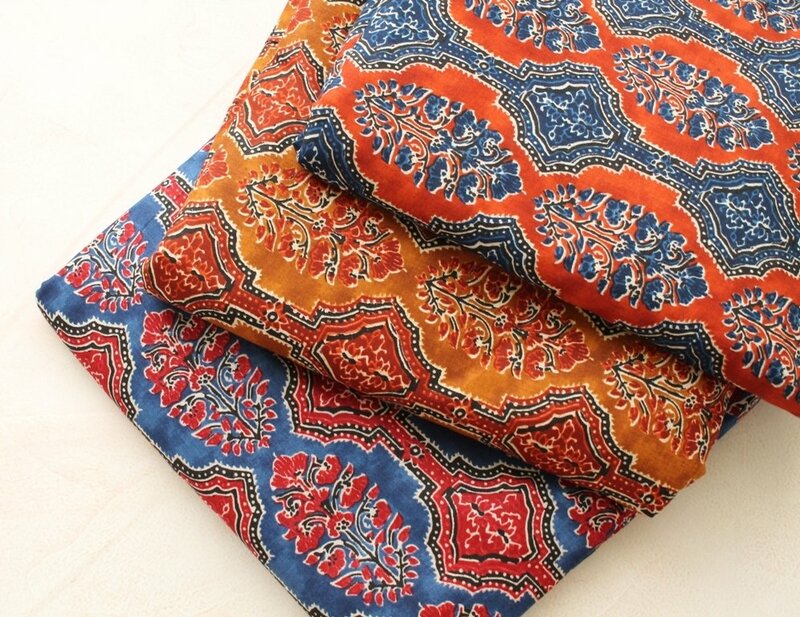 Classic Indian floral print cotton. Kalamkari fabric with same block printed Indian flower in a different background. Available in 3 colorways.